Estimated Delivery (working days): Please Contact Us! 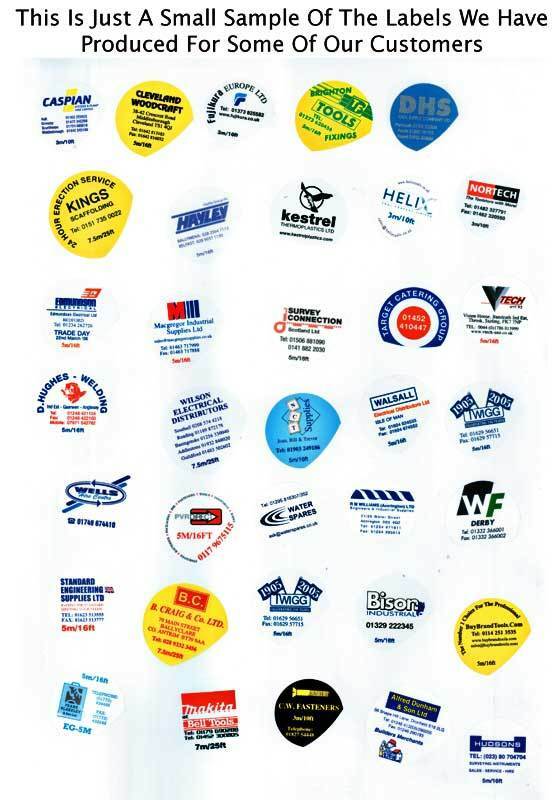 Promotional Tape Measures with your branding on! This is a fantastic marketing tool and a great "freebie" to give away at trade events or for everyday use within your company! Prices exclude VAT and may vary depending on the complexity of the artwork. Standard delivery is 2-3 weeks (we are also able to offer a 5-10 working day express service at an additional cost). No additional artwork or screen printing charge! 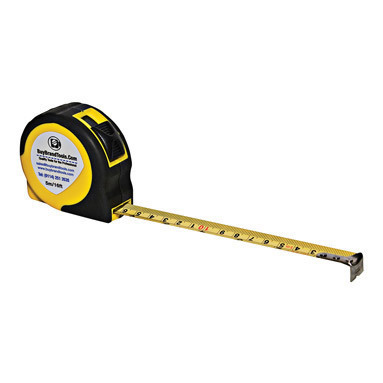 The design as you would like it to appear on the label of your tape measure - we are able to print the labels with up to 3 colours at the prices shown! The image in it's original format e.g. .jpeg, .eps, .ai, hi res .pdf (in some cases we may require an additional format). Click the 'Add to Cart' button below to order your free sample tape with a selection of labels! Call (0114) 251 3535 or email sales@buybrandtools.com for a quote!